Prince Harry and Meghan Markle were seen this weekend at Lena Tindall’s christening. Lena is the second child of Zara and Mike Tindall. The Queen was there too – clearly she doesn’t play favourites with her grandkids. Or, more accurately, she doesn’t just show up for the super senior ones. Harry is reportedly one of Lena’s godfathers. William and Harry have always been close to Zara. Now does that mean that Zara will be one of Baby Sussex’s godparents? These are likely the decisions that they’re making now, non? Or the decisions that have already been made? After the big decision, of course, which is the name. Speaking of names, “Zara” isn’t a conventionally royal name. It was apparently Prince Charles who came up with it. Like Princess Anne, Harry and Meghan aren’t necessarily under the pressure to give their kid(s) traditionally royal names either. They can use Elizabeth and Victoria and Albert and Alexander for middles but the first can be just as unique as Zara must have been back then when she was introduced to the world. Imagine, though, if it’s like… Jayden? LOLOLOLOLOLOLOL. If it’s Jayden, I need to be there when Duana finds out. Like I think I would actually walk off camera if the announcement comes out when The Social is on, and risk getting fired, just to rush over to where she is to see her face. Again, I have a couple of predictions – my prediction for the boy is locked in. Still thinking about the girl. Send me yours? I’m trying to convince Duana to run a pool. PS. 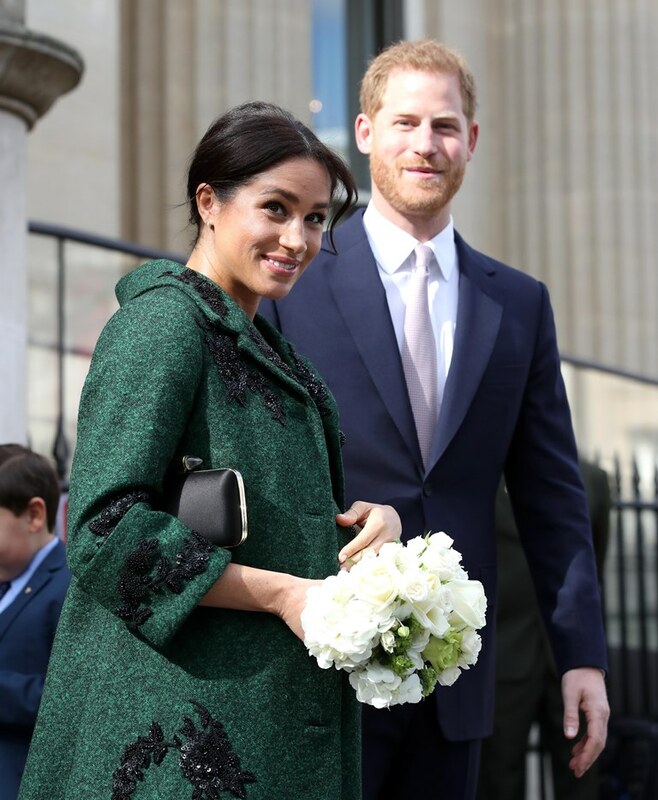 I hate the buttons on Meghan’s coat. They look like balls that are about to fall off.